McIlhenny Company is a family owned corporation based in Avery Island, Louisiana. It is a leading manufacturer of pepper-sauce in the food processing industry. The company was created by Edmund McIlhenny in 1868 in Avery Island, Louisiana. From the planting of seeds of Capsicum frutescens peppers to harvesting them, Edmund McIlhenny was the person responsible for creating the all time popular Tabasco pepper sauce. In 1869, McIlhenny delivered 658 bottles of pepper sauce at one dollar per piece wholesale to grocery stores in the Gulf Coast, particularly in New Orleans. He named his product “Tabasco,” meaning either “a place where soil is moist” or “a place of the oyster or coral shell.” In 1870, McIlhenny was able to get a patent for his Tabasco® sauce. This also marked the beginning of the product’s popularity in the United States and soon after in England. Currently, McIlhenny’s Tabasco sauce is so well known and popular that the menu of NASA’s space shuttle program even lists Tabasco on it. The Tabasco label has also diversified from being only a pepper sauce brand. The Tabasco label can be found in different kinds of sauces such as Worcestershire sauce, teriyaki sauce and chili sauce among others. 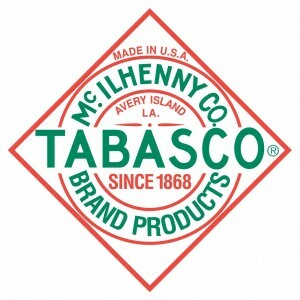 McIlhenny Company has also allowed for co-branding in order to advertise the Tabasco label. In 1890, John Avery McIlhenny took over the running of the company when his father died. John Avery started the expansion and modernization process of the business. He did not stay long in the company however, as he decided to resign and join Theodore Roosevelt’s cavalry regiment instead. His brother Edward Avery took over the company after John Avery left. From 1898 until his death in 1949, Edward Avery managed the business and resumed its expansion and modernization plans. Edward Avery was succeeded by Walter S. McIlhenny who ran the company until his death in 1985. Currently, the company is being managed by Paul C.P. McIlhenny, the sixth McIlhenny to run company. To date, McIlhenny Company is already in its 5th generation as a privately owned family business. The company currently has 145 shareholders and these stocks held by the shareholders are either inherited or were handed down to them by a family member. Real product problems guy. Lifelong user/addict of your Tabasco. Saw “60 Minutes” or whatever of Mcilhenny Company standards and integrity, so know you care. Use your tabasco for subtle flavoring in things like omelets as well as expected uses. Current product so bad I avoid using it. Do not like the smell when I open it-harsh-and sometimes it seems to have random micro pieces of pepper in it. Just went looking for contact information and ran across your Sirachi ads. Strange because that is the harsh “aroma” I sense when using it. I even said to myself multiple times “I hope they are not reflavoring Tabasco to compete with Sirachi. Now that I see you have a Sirachi, I worry that its stronger flavors are contaminating the plant. Your Tabasco has been the perfect product for so many applications. What a loss if you have warped it to a harsh flavor that does not work for its many applications in American cooking. Please advise. Meanwhile, going to contact food press to discuss. We love your course ground muster and I am wondering where I can buy it. We love in Mountain Home Arkansas, 72653? I would appreciate your emailing me some places that seel your products.